WHY GO: It’s amazing how many gardens you’ll discover in Philadelphia; some landscaped, others with nary a fern, plant, or even dirt. You’ll find that the word “Garden” can be interpreted in many ways, from shops to restaurants (no, not the one that starts with Olive) to eccentric creations. This Getaway highlights some well known and lesser known aspects of this late-blooming city – with enough to keep you busy for at least a weekend. VISIT: Magic Garden. Wandering this “Visionary Art Space,” is like being trapped inside a kaleidoscope. Colors, mirrors, figures within figures initially emerged from a troubled mind. Long story short, mosaic artist, Isaiah Zagar had a paralyzing mental breakdown. His shrink advised him to concentrate on just one shard of glass at a time. This led to Zagar’s manic ornamentation of several abandoned South Street lots. 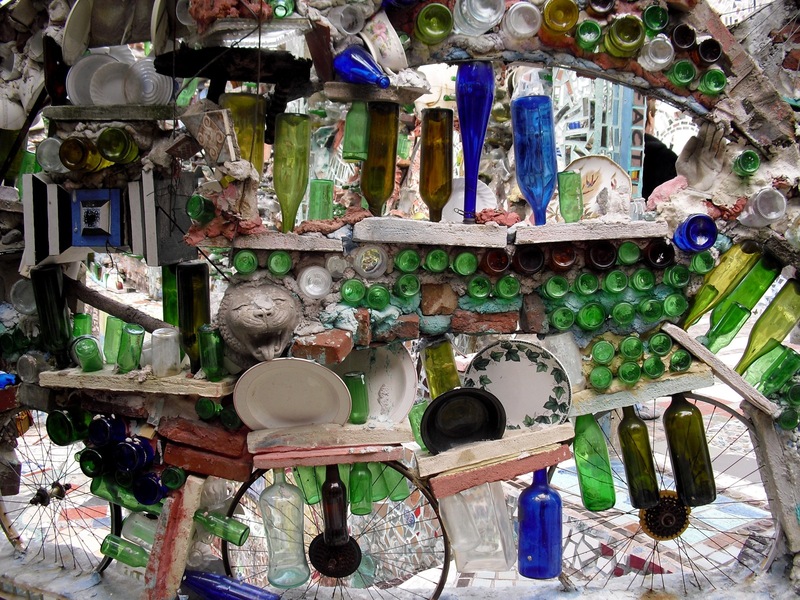 In 2004, when the lot’s owner wanted to sell and destroy all the artwork, Zagar raised $300,000 from his community and other art lovers to purchase the property outright. Though a preponderance of broken pottery, pieces of shattered glass, ceramic figures, whole pop bottles, tiles and geegaws overwhelms the senses, docents encourage visitors to slow down and look closer to see “Zagar’s diary opened up.” $7 adults, $3 kids, April – Oct. Sunday – Thursday: 11:00 AM – 6:00 PM, Friday and Saturday: 11:00 AM – 8:00 PM, Winter open to 5pm Sun-Thurs. VISIT: “Dream Garden” Mural and Palm Court Atrium at Curtis Publishing Building. Washington Square in Philadelphia was once an American publishing hub. Both the Saturday Evening Post and Ladies Home Journal (among other magazines) were produced here, and the building still houses one of the most eye-catching mosaic murals in the city. 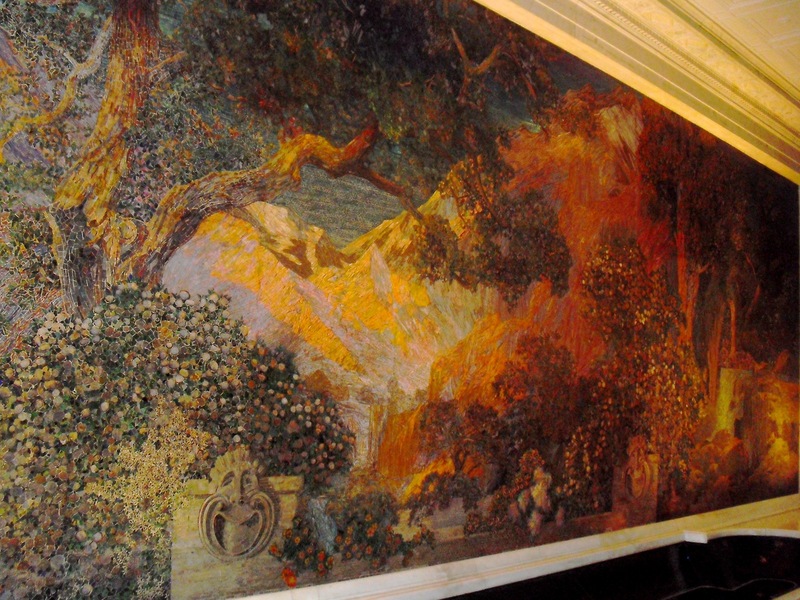 Pop into the lobby to see “The Dream Garden,” a glittery full wall fantasia created by Tiffany Studios in 1914 based on a Maxfield Parrish painting. Around the corner, palm trees flank an indoor atrium courtyard where water plays and cascades over rounded steps of black and grey marble. Free, open during work hours. 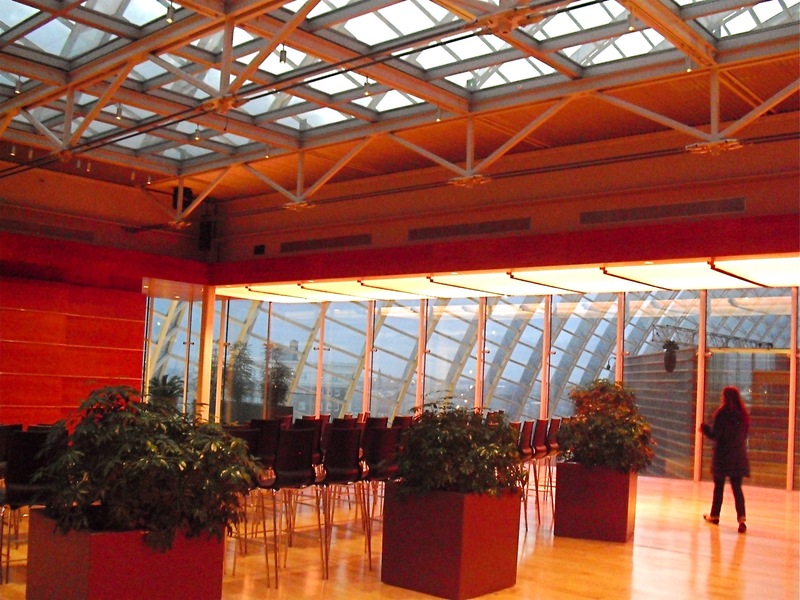 SEE: Hamilton Garden at the Kimmel Center; The Kimmel Center has been referred to as The Lincoln Center of Philadelphia, though at Lincoln Center there is nothing comparable to the Hamilton Garden – an enclosed deck with dizzying views of the arched glass roof above and lobby below. Way below. If you suffer from vertigo, forget about stepping out on a balcony that suspends you within this massive contemporary Quonset hut of a building. You can take a free tour of the Kimmel Center at 1pm daily, or just head up the elevator to the Hamilton Garden to check it out. Free. Open to the public except when closed for private events. VISIT: Barnes Foundation. 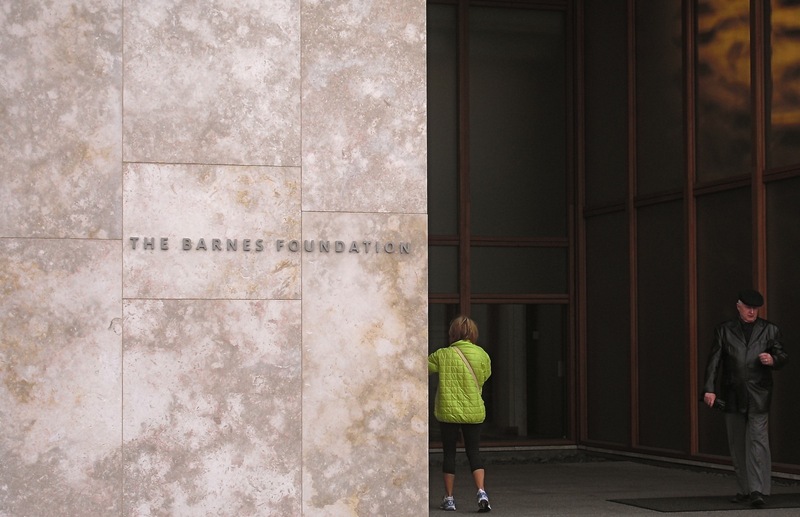 The Barnes was surrounded by controversy when it moved from a Philly suburb to the city in 2012. Dr. Albert C. Barnes who, prior to antibiotics, developed a compound that prevented eye infections and blindness in newborns, used his newfound wealth to buy pieces directly from Cezanne, Renoir, Rousseau, and other notable impressionists beginning in 1912. By 1922, he had amassed enough art to commission a gallery and residence in Merion, PA, and there the Barnes Foundation remained until it moved to its new Philadelphia home in 2012. In his will, Barnes insisted that his collection stay intact in Merion, but Board Members, wishing to locate the museum where more people could see it, interpreted Barnes’ wishes to mean that the collection be preserved exactly as it was displayed in the Marion mansion. So, here’s the odd thing, the exterior of the new building is uber modern, blocky and bold, but the interior galleries are old fashioned, with parquet floors and walls with a sepia cast. The paintings are uniquely arranged in two dozen galleries: El Greco skulls hang next to Renoir picnic scenes, and wrought iron hinges and tools are interspersed between Cezannes, Van Goghs and Modiglianis. A truly unique experience.Open Wed-Mon 11-5, $25. 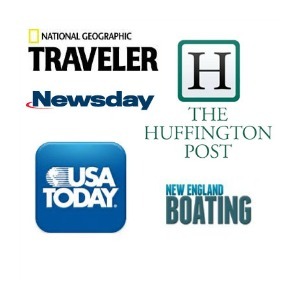 Tickets can be purchased online, onsite or by phone (215-278-7200). 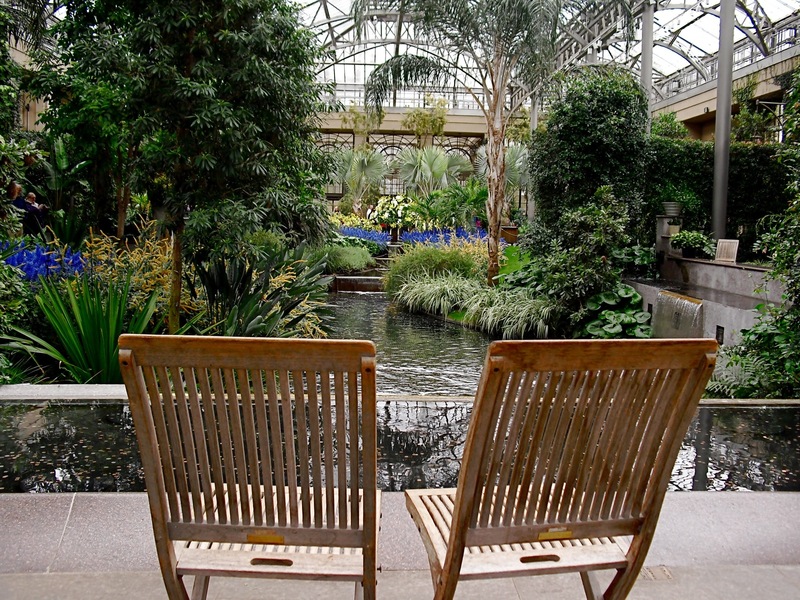 VISIT: Longwood Gardens, Kennet Square. With 11,000 plants on over 1,000 acres, Longwood Gardens has been called a “wildly extraordinary place” and that’s no hype. The centerpiece of this vast attraction is The Conservatory; built by Pierre Du Pont in 1919 as a place to grow fruits and vegetables out of season. The Visitor’s Center houses quite possibly the most exquisite restroom area in the world; creeping vines and other flora that make up the “Largest Greenwall in North America” frame the doors to each of a dozen private privies. If you have to go, you’ll want to go here. In the main sundrenched Conservatory room, beds change out weekly. As does Mother Nature, Longwood Gardens alters with the seasons, so you’ll never see the same flowers twice. $18 adults, $8 kids. In summer, gardens open 9:00 am–6:00 pm Sunday–Thursday,9:00 am–10:00 pm Friday & Saturday. Check website for other times of year. 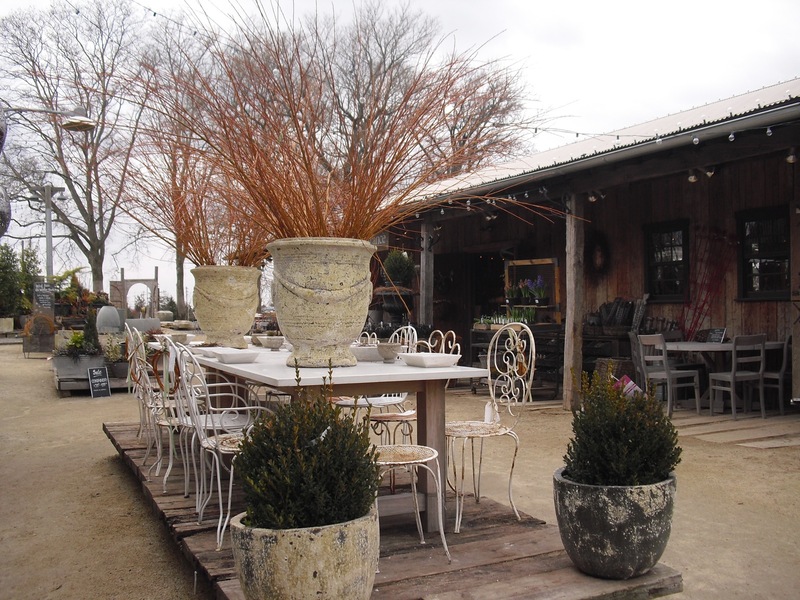 SHOP/EAT: Terrain/Styer’s Garden Café, Glenn Mills. What happens when the company that owns Urban Outfitters and Anthropology goes into the gardening business? You get Potting-Shed Chic. This “curated collection” of décor for home and garden on eleven acres is a destination unto itself, even if you have no desire to purchase that $12 glass jar of Black Sea Salt or a heathery Meadow Wreath ($78). 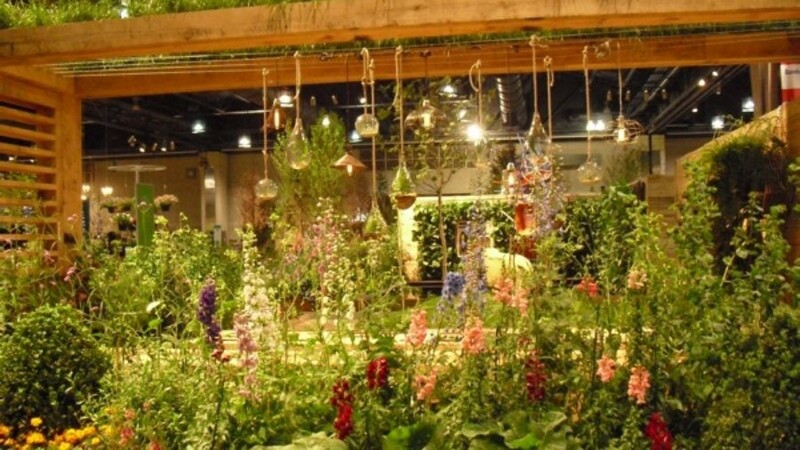 Garden sheds, barns and greenhouses spill one into another, and displays are clever, fun and play with your senses. Should you wish to arrange a private party, you’ll be directed to The Mushroom Hut – a former, um, mushroom growing hut on the National Historic Register – which is decorated as a prairie farmhouse and is rustic like Ralph Lauren’s den is rustic. 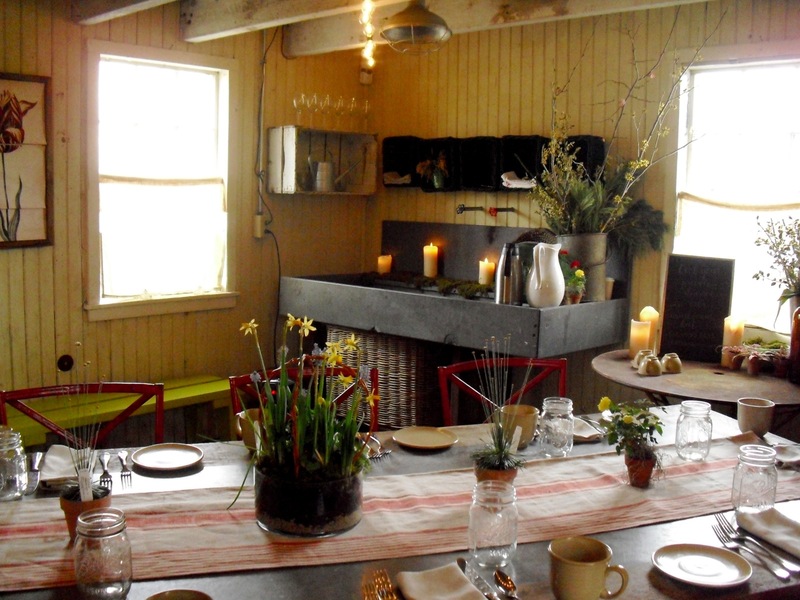 Alternately, dine in a former greenhouse on site; Styer’s Garden Café at Terrain, Farm to table dining can’t get much closer to the food than this place. You’re in Mushroom Country, so Local Mushroom Soup with Truffle Oil ($8) is an easy choice. Wild Field Green Salad With Shaved Root Veggies ($12) comes from the wild fields outside, and delights like Braised Lamb Rib with Raw Kale and Brussels Sprouts ($21) are indicative of Styer’s adherence to good, slow food. EAT: Talula’s Garden. Enter through an outdoor patio bejeweled with pin lights into a Farmhouse-chic set of low-lit rooms. The space is all mason-jar votives, pickle barrel shelves, distressed wood floors and, what most people don’t know, stuff salvaged from M Night Shyamalan’s The Village. There are lots of things left over after demolishing the set,” says Talula’s owner, and self-admitted “Culinary Director,” Amiee Olexy. “The movie was made nearby in Chester County, so we took a few things.” Tables fashioned from floor joists and vintage window wall sconces form a Comfort Food montage, but what brings customers back is the incredible food, whipped up by Chef Sean McPaul, who blends contemporary “Cali” and earthy rusticity to perfection. Knobs of cheese (7 for $22) arrive on slabs of fieldstone, and main dishes the likes of Farro ‘Risotto’, Roasted Acorn and Honeycup Squash, Wilted Escarole, Walnuts, Kale Pesto, and Black Olive-Caramel Vinaigrette ($26), demonstrate respect for each ingredient. Call at least two months in advance for RSVP. EAT: M Restaurant at Morris House Hotel. Word has it that George Washington and John Adams hung out here for a beer or two. 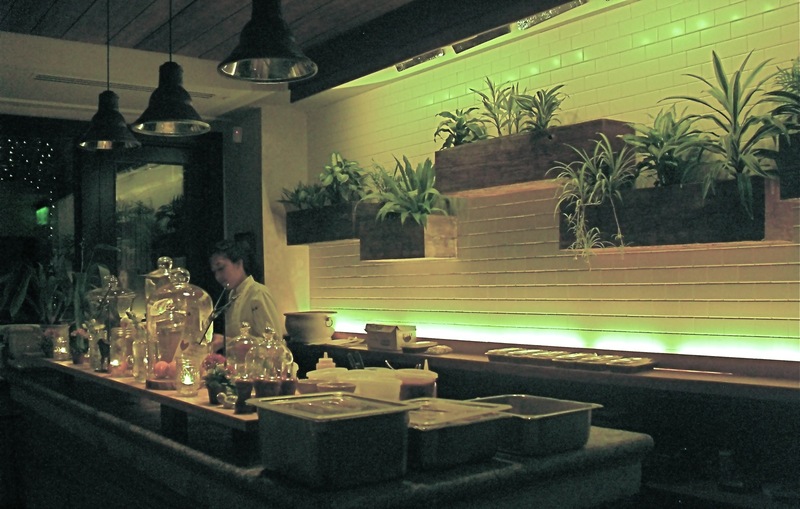 Now, M Restaurant is known as much for its Molecular Gastronomy inclined chef as it is for its history. Larger parties will find themselves dining on Progressive American Cuisine in the Morris House library, restored to circa 1787, with original floorboards and cute “period” oil paintings that have incorporated the faces of the current hotel owners. Ask to see the grandfather clock in the foyer; bored (and most likely drunk) Revolutionary War soldiers left bullet holes in attempts to shoot the swinging pendulum. Bartending genius, Theo, comes up with cocktails that are as wonderfully named as they are delicious; Death of Marie Antoinette (gin, drambuie, luxardo), Electrified Fence (house infused Rye, apple and ginger beer), and dozens of others. Dishes, though experimental, are quite good, and you can’t go wrong with the “Three for $13” deal – two small plates plus a drink. Nibble and sip in the courtyard, aglow with pin-lights. It’s the best way to kill time, no bullets required. STAY. Lowes Hotel. Built in 1932, what is now the Lowes Hotel was the very first “International Style” Modern Skyscraper in the United States. In an architectural era when fussy ornamentation prevailed, William Lescaze and George Howe designed the Philadelphia Savings Fund Society’s 36-story 491 ft. tower in a T-Shape to allow for maximum light. Lowes opened the building as a hotel in 2000, renovating office space into light and airy rooms. The PSFS sign remains on the top of the building, and you’ll see the original vault door in the stunning lobby. 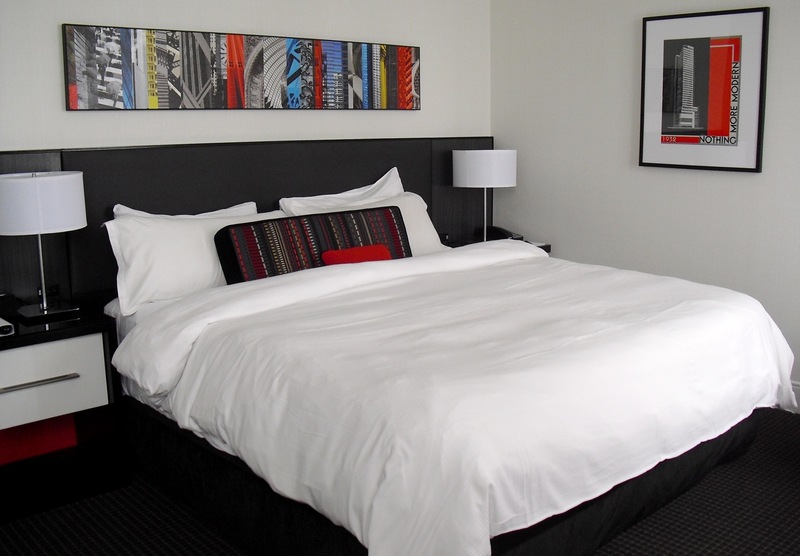 In 2012, rooms were refreshed to reflect the modernist era; whites and grays with punches of color, trim furniture and great city views. Rooms $219-$400. STAY: Morris House Hotel; In private hands until the 1950’s this 1787 home fell into decay until it was restored and opened in 2000 as a boutique hotel. Fifteen exquisite rooms are dressed in period furniture, and it is indeed unique to stay overnight in this most American of cities in a place that best represents its origins. Rooms $189-$349 include free wi-fi, European Continental Breakfast, glass of wine between 4pm-5pm, afternoon tea and cookies. Great tip on Longwood Gardens. It truly unique – I’ve never been to a botanical garden that comes close. It’s possible to easily spend a full day or several days there. Also, if you are with someone with mobility issues, he or she can use a motorized scooter from Longwood as there is a lot of walking.